(MAJOR BILL) 13 tracks (39:41) digipac. New Rock & Roll album - Whirlwind Style. 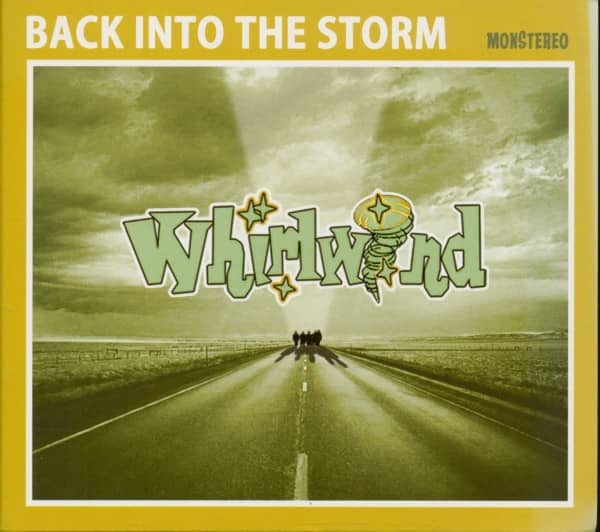 In 1978 as punk rock raged all around, Whirlwind were the unlikely choice of support act among the punk rockers and new wavers. Fronted by the charismatic Nigel Dixon, they opened for everyone from the Clash, to Blondie and the Blockheads. Their stripped-down boppin’ rockabilly endeared them to punks and Teds alike, despite the alleged aggro between them. This first album originally appeared as a 10”Vinyl. The album consists mainly of covers of hot records from the then burgeoning rockabilly scene with a smattering of originals from Nigel and guitarist Mick Lewis. Founded by singer Nigel Dixon (who would later go on to play in Havana 3AM with ex-Clash bassist Paul Simonon) and drummer Phil Hardy, and joined by lead guitarist Mick Lewis and bassist Chris Emo, they quickly became an in-demand rockabilly band on the rock'n'roll club circuit and surprisingly were even supported by the burgeoning punk scene. A Speakeasy residence followed and a record deal for the infant Chiswick label that resulted in Whirlwind's debut album 'Blowin' Up A Storm' (complete with Stuart Colman sleevenotes and a Barney Bubbles-designed sleeve), released in January 1978. Phil Hardy left shortly afterwards and was replaced by Garry Hassett.By the time the band made their second album 'Midnight Blue', they were big enough to secure the support tour slot to Blondie. Sadly, during that tour, Hassett was taken ill and rather than change the line-up, they decided to call it a day.In a doubly sad 1993, Nigel Dixon succumbed to cancer and later the same year, so did Phil Hardy. 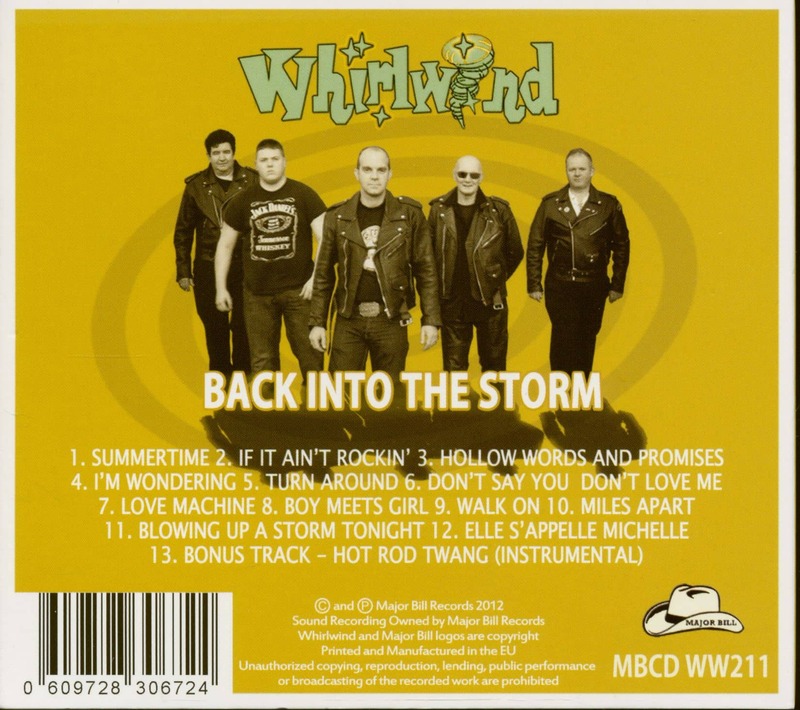 Customer evaluation for "Back Into The Storm (CD)"